The double version of the Hang It! 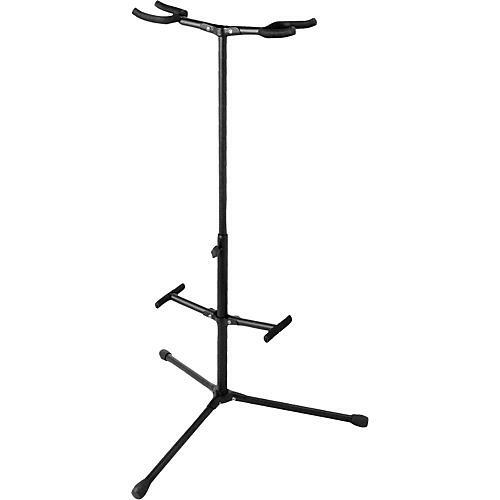 guitar stand hold any combination of standard guitars with a stable, three-legged design. This stand is perfect for vintage collections and make for an excellent display piece. The tripod base provides stability and fold for guitarists on the go. Features Velveteen rubber on all contact surfaces.